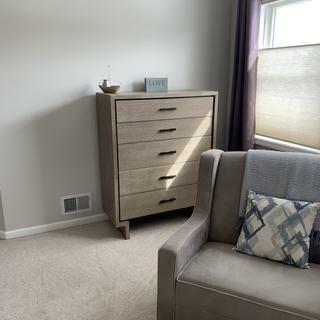 Cassia Bedroom Dresser Having a comfortable yet inviting space is the perfect balance of style and relaxation, which is exactly what the Cassia bedroom dresser is all about. With beautiful light ash veneers and sleek antiqued black drawer pulls, this piece makes styling effortless. Its smooth, chic lines are sure to make a subtle, modern impression in your space. 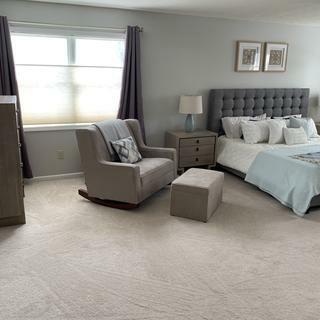 Having a comfortable yet inviting space is the perfect balance of style and relaxation, which is exactly what the Cassia bedroom dresser is all about. With beautiful light ash veneers and sleek antiqued black drawer pulls, this piece makes styling effortless. Its smooth, chic lines are sure to make a subtle, modern impression in your space. I absolutely LOVE it! So spacious and updated! 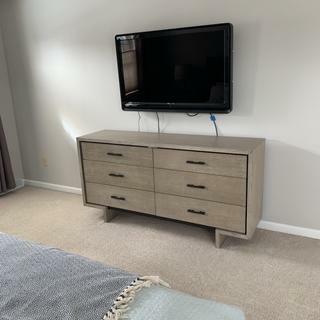 I would 100% recommended this product to anyone looking for a new dresser! 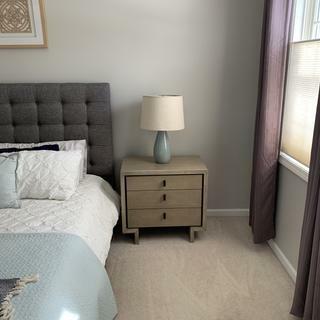 Looks great, fits the decor, and is reasonably priced. It was much bigger than I thought but it's great. I love the wide spacious drawers which open and close very smoothly. One of the drawers sits on top of the one below it so both open at the same time but that's the only flaw so far. It is solid and nice looking. Plenty of drawer space. Contemporary looking and color is perfect. Put in my son's room. He loves it.